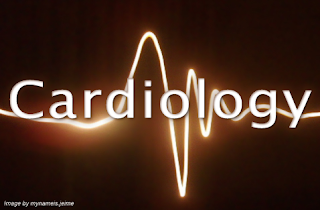 This post is on some common and important SVT/Atrial Tachyarrhythmias (e.g. Atrial Fibrillation). See Cardiac Arrhythmias for a complete overview. A Quick Guide to ECG will also give you tips on how to approach an ECG. Remember Bundle Branch Blocks effect ECG interpretation. EXCEPTION: SVT + Bundle Branch Block cause Board complex. Atrial Fibrillation (AF): most important arrhythmia. irregular, irregular pulse. Loss of P waves. Complications: ↓ CO, embolic stroke, ↑ ventricular response. Tx: Rate control (Beta-blockers, CCB, digoxin), rhythm control (DC cardioversion, amiodarone, flecainide) & anticoagulation. AF > 48h – Look for a clot. Rhythm control or rate control + anticoagulation. Multifocal atrial tachycardia (MAT): P-waves of at least 3 different morphologies that all fall before irregular, narrow QRS complexes. Causes: exercise, pain, anxiety, hypovolaemia, PE, hyperthyroidism. Management Priority: Search for a cause. Most common regular SVT tachycardia. Most common WPW. Short PR intervals. Delta waves. General Tx: Valsalva manoeuvre, Carotid Sinus Massage (CSM), ocular pressure. Adenosine, DC cardioversion.